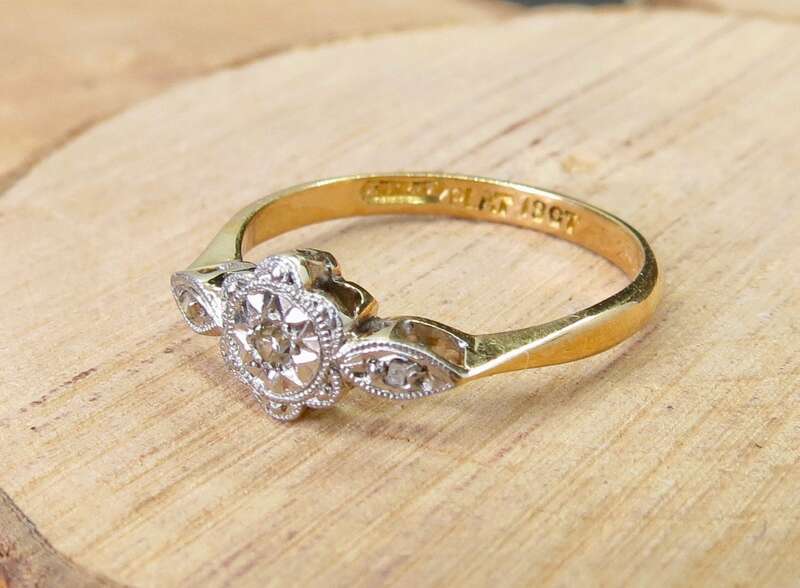 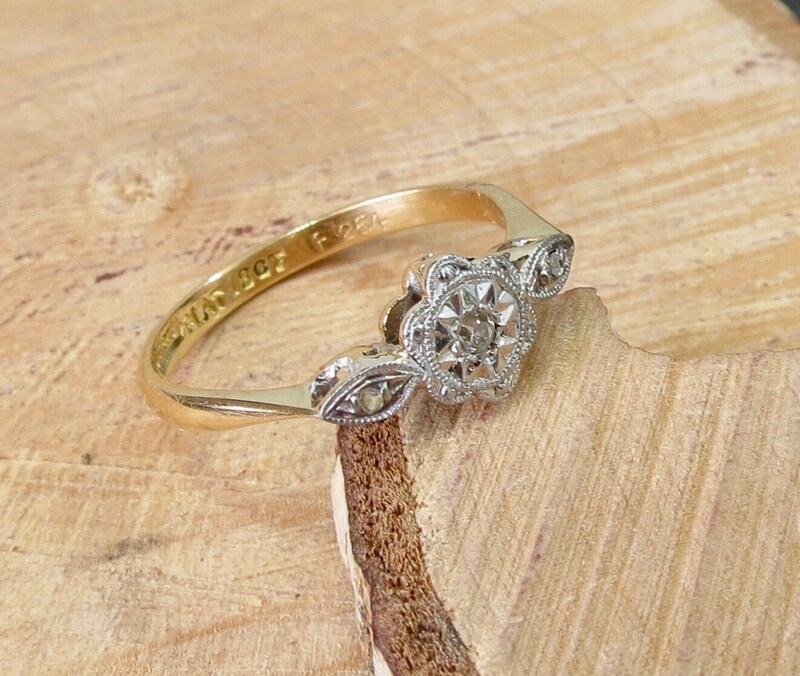 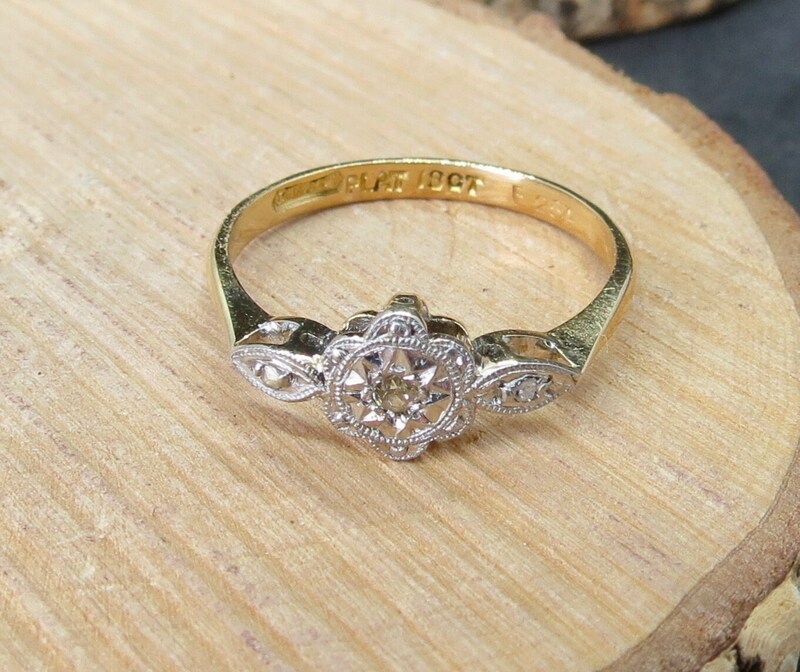 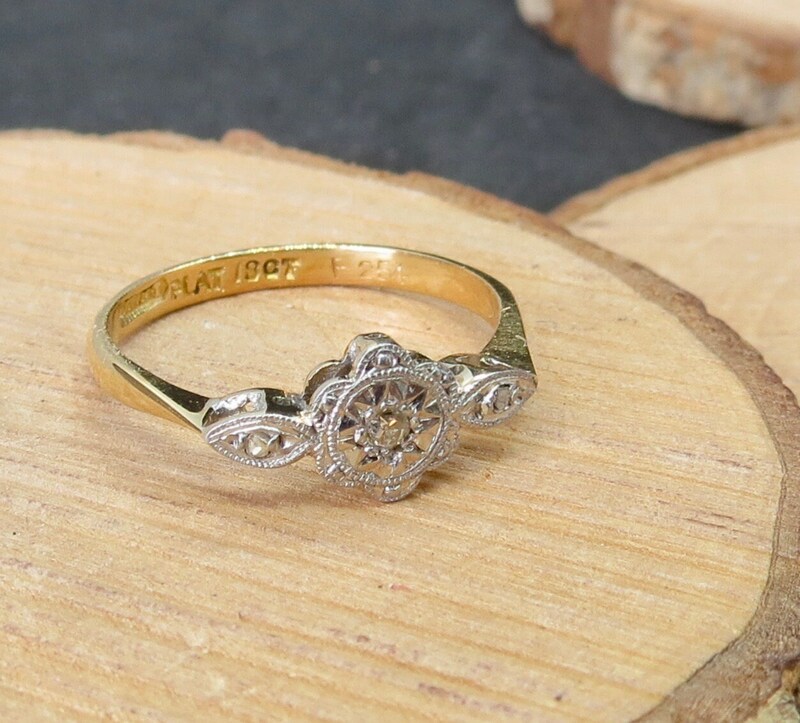 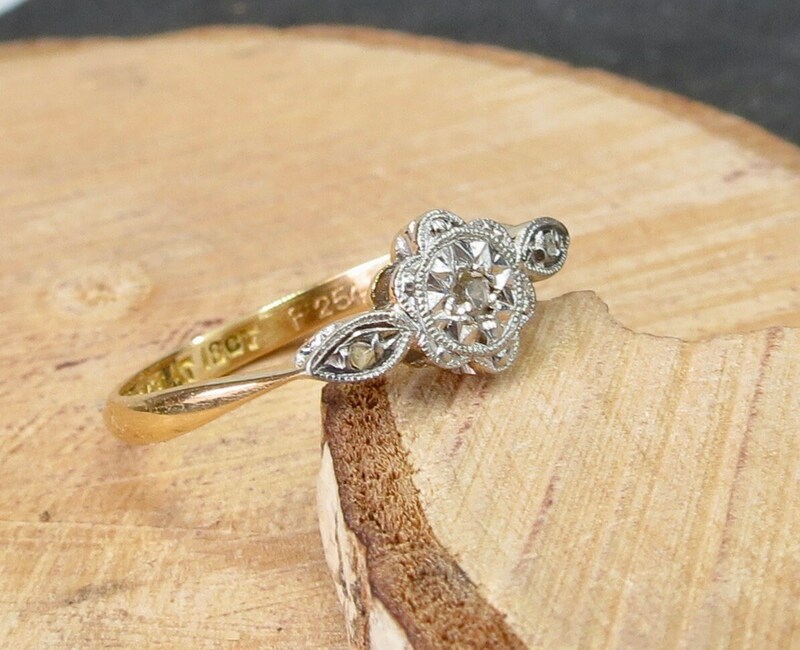 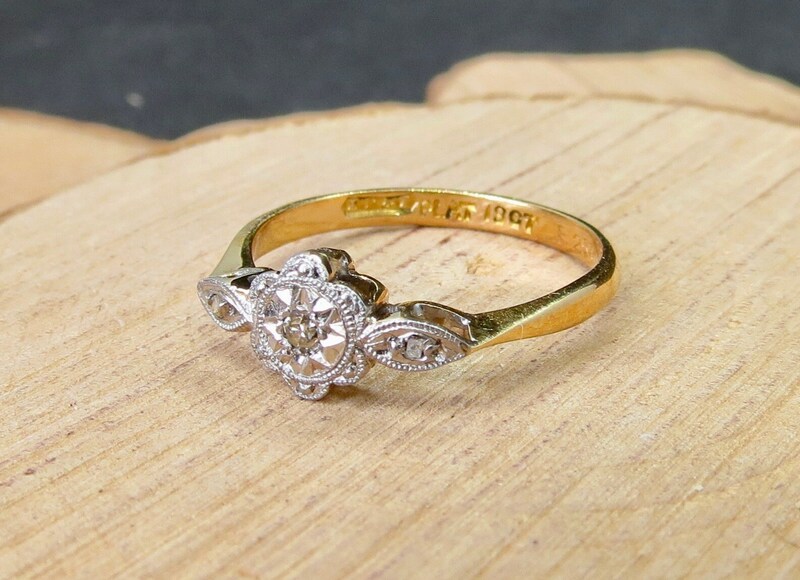 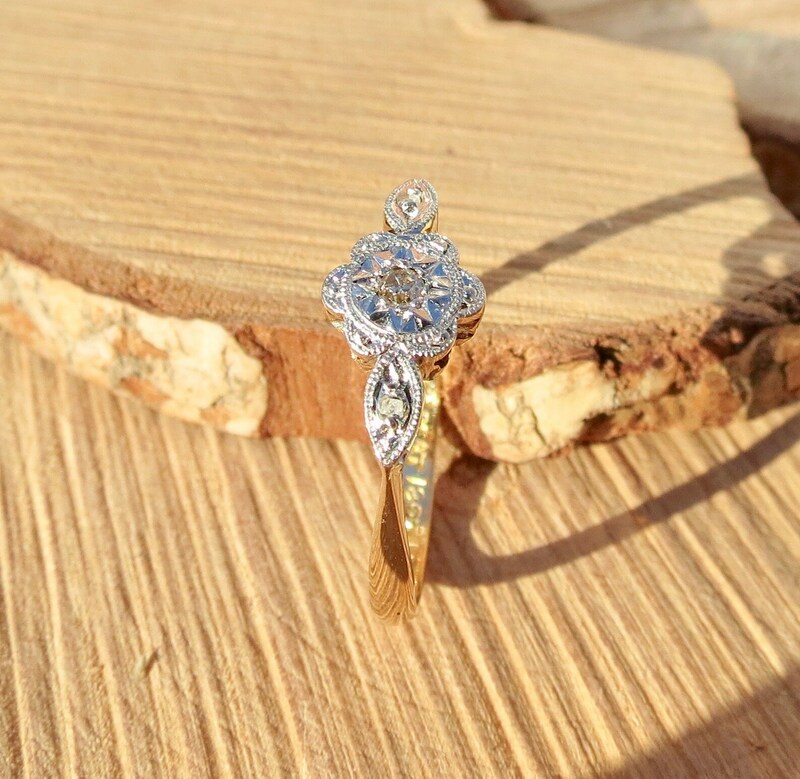 This Art Deco 18k yellow gold and platinum ring has a trilogy old mine cut diamonds in a highly decorative starburst setting. 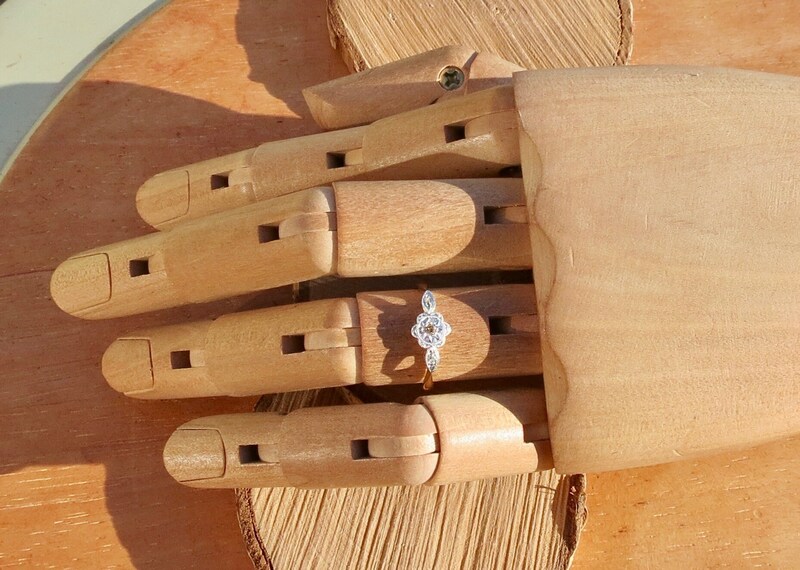 The very detailed design is set in platinum with a full gallery. 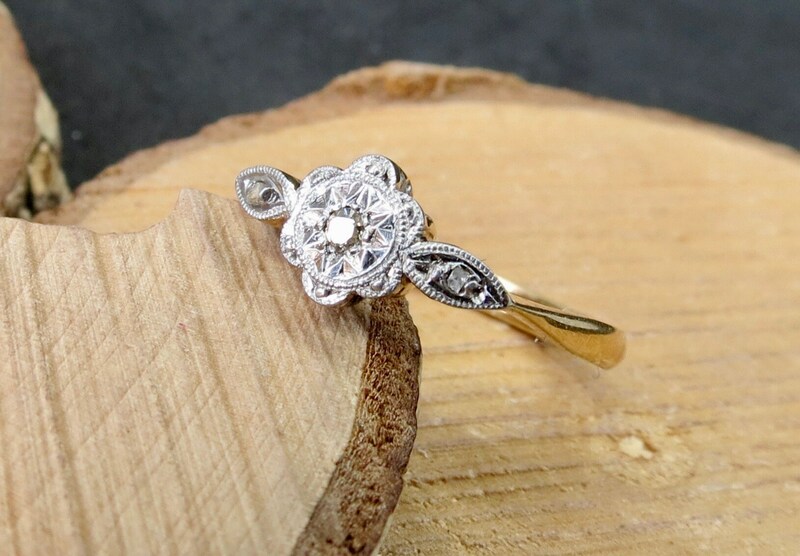 Dating from the 1920's this design is classic art deco and in very fine condition. 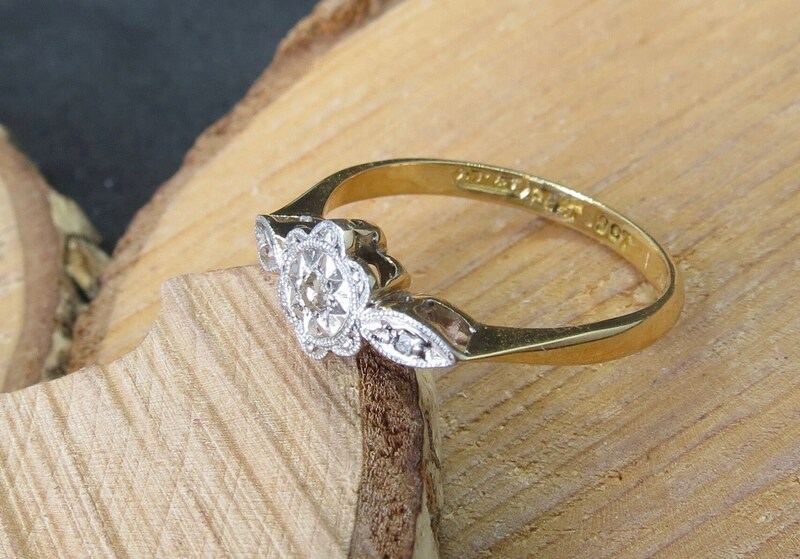 The petite setting is just over 1/2 inch (12mm) wide and 1/4 across.